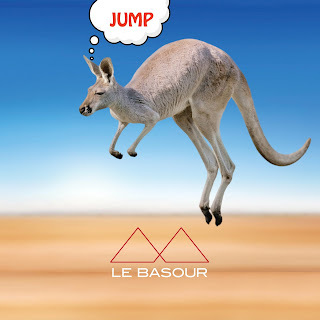 On July 21st, Mad4Music will release the new single of the rock band Le Basour entitled "Jump" and from the next Monday will be broadcasted on the radio. Founded in Treviso in 2014 by Allen (vocals, guitar), Skylle (bass) and later with the addition of Knk (guitar) and Giorgio Murer (drums), for 2018, the band presents itselfs to the public with a new single produced by Fabio Trentini (Guano Apes, gold record in different countries, H-Blockx, Subway to Sally). Thanks to the success of the previous album "Pray to Stay" and the tour of 2017 as Opening Band at Three Days Grace, Thousand Foot Krutch, The Birthday Massacre, Royal Republic, Marky Ramones, the band today can count on their YouTube channel more than half million views. The single "Jump" and the video will be released on July 21st 2018 in all the Digital Stores. For the promotion of the single, Mad4Music organized a Tournèe for 2018 reaching countries like Romania, Italy, Ukraine and Germany.